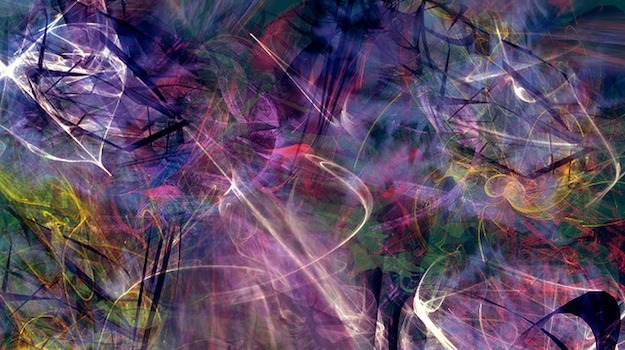 Is your WordPress theme a work of art? WordPress is one of those rare products that provides a solution for people of all skill levels. Whilst advanced users can install theme frameworks and build their websites practically from scratch, beginners are presented with an out of the box solution in the form of the Twenty Eleven theme. And whilst Twenty Eleven is an excellent theme, you may find yourself wanting to branch out into something a little more adventurous. There are certainly no lack of options – the WordPress Theme Directory has nearly 1,500 free themes available for you to download immediately. That could keep you going for a lifetime. But when it comes to selecting a quality WordPress theme for your site, we are barely scratching the surface. As is often the case in life, you get what you pay for, and that is certainly the case with themes. If you want to produce a website that you can be proud of, your first port of call should be premium theme shop. For less than a hundred bucks, you can get your hands on anything that you desire – from a sleek theme framework, to a beautiful turn-key design. This truly is website creation for the masses. There is just one problem – choosing a premium theme can be rather overwhelming. There are so many different options available from so many different shops. And make no mistake – choosing a theme for your website is a serious undertaking. You don’t want to regret your decision a few weeks or months down the line. Never Fear, ManageWP Is Here! And that is where we come in, with a careful selection of the top 10 WordPress premium theme designers. 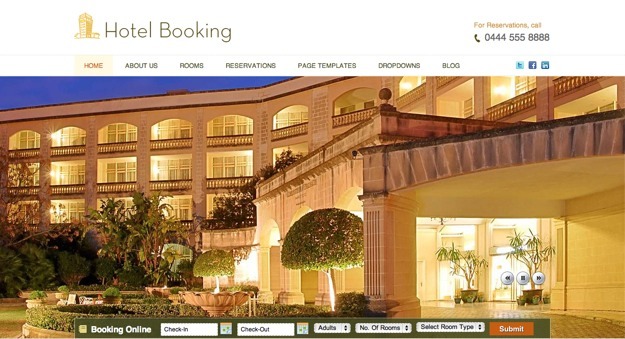 You can rest assured that every single theme offered by the shops below are of good quality. And you can expect all of the advantages gained from buying a premium theme – design quality, regular updates, excellent support, and much more. Enough talk – let’s take a look at the list! WPZoom offers a wide variety of themes, but that does not mean that there is any compromise on quality. They cover a diverse selection of categories, and your requirements are likely to be well-served by at least one of their themes. Like a few of the other shops in this list, they offer a few free options. Matt has been producing WordPress themes since 2010. What the shop lacks in quantity (with only 23 themes currently available), they make up for in quality. Membership is also reasonably priced, starting at €39 for a three month membership. Please note – you must select the appropriate theme from the drop down menu at the top of the screen. AppThemes is quite unique in that it offers tailored solutions for specific website types. Whilst it has just four themes on offer (with more to come soon), each one is designed with a singular purpose in mind. If you are looking to create or revamp a website for your business, AppThemes could be the ideal solution. These guys have been around since 2009, and release a new theme every single month without fail. You can download a single theme for $50, or get full access to all themes for $250 per year. Mojo Themes offers an enormous variety of themes, a small selection of which are free, with prices starting at just $8 for the rest. You are seriously spoilt for choice. Please note that most of the cheaper themes available are either child themes for a premium framework, or under construction themes. You will find a wide selection of themes on offer at Templatic, and they also have 9 free themes for you to download too. Like some of the other shops in this list, they handily categorize the available themes, so that you don’t have to wade through designs that won’t be of interest. Most theme shops offer up a few “duds” amongst their selection, but Theme Fuse is an exception to that rule. Every single one of the 18 themes currently available is of excellent quality. Moreover, they are reasonably priced, at $49 each. Alternatively, you can pick up the whole lot for $369. Whilst this theme provider is relatively new to the scene, it should not be underestimated. All of the child themes produced by StudioPress are based upon the critically-acclaimed Genesis framework, which has been designed from the ground up to produce optimal websites. Mashable calls Genesis the “best of the best” among premium frameworks. This shop is run by just one man, but that does not affect the quality of the themes available. And if you are budget conscious, this could be perfect for you – the cost of membership is extremely competitive, at just $39 per year. 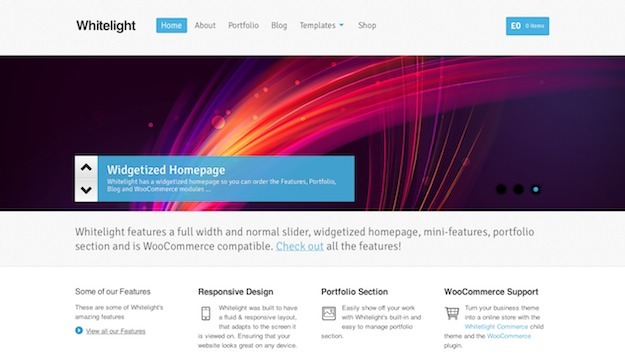 WooThemes is easily on of the most popular theme shops around, and with good cause. You can choose from 125 themes (with more being added regularly), and the after-sales support is excellent. There are pricing points to suit most wallets, and even a few free themes available. So there you have it folks – a great selection of shops, but WooThemes is crowned the winner! Do you have a favorite theme shop? Or is one of your favorites not even on the list? Let us know in the comments section below! Elegant Themes and Woo Themes are the 2 I generally use. Although I seem to have been purchasing more and more from indie developers nowadays. Is that because companies have become too traditional and unwilling to take risks though? Hmm. 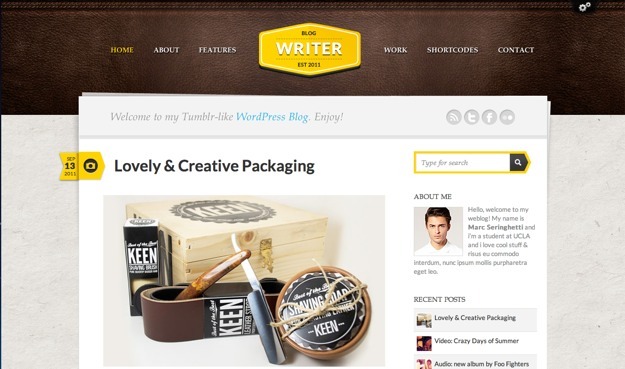 Themeforest doesn’t create themes, it’s a marketplace where small theme authors sell their work. Themeforest in general has lower code quality standards than the WordPress repo, but you can find some awesome theme authors if you’re willing to dig through all the themes. I would add Themify – they have a huge variety of themes and they are very customizable. Their support is great, too. I’m amazed no one has mentioned themeforest.com. the themes on offer are just amazing! Can ManageWP automatically update all of these themes? Thanks for the list, I think all of them are great, I use Genesis FW for the flexibility but Mojothemes is also great. 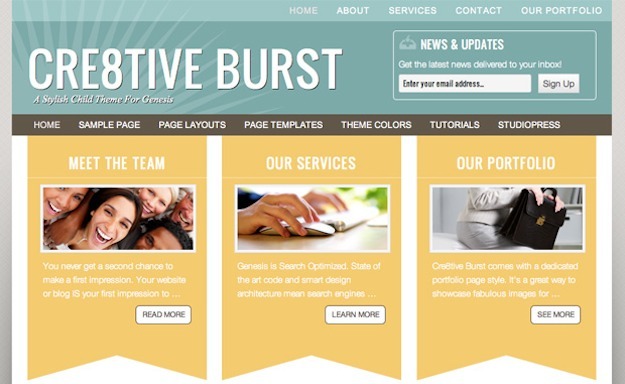 Awesome list of impressive looking wordpress themes ! Will definitely use them in some of my new websites.